Temporary workers account for a large portion of workplace injuries reported every year. OSHA recognizes that temp workers are often more vulnerable to workplace safety and health hazards since they are often unfamiliar with their surroundings and are placed in a number of jobs for short periods of time. OSHA requires employers to afford temp workers the same level of safety training as any other employee. Providing safety training to your temp workers can be a challenge due to hire and work schedules that are not compatible to when your current employees have already participated in training. In most cases, employers and staffing agencies are required to share responsibility for the safety of temp workers. Typically, staffing agencies are responsible for more general, awareness level safety training, while host employers are responsible for training that is specific to the worker’s unique work tasks, work environment, and potential hazards. 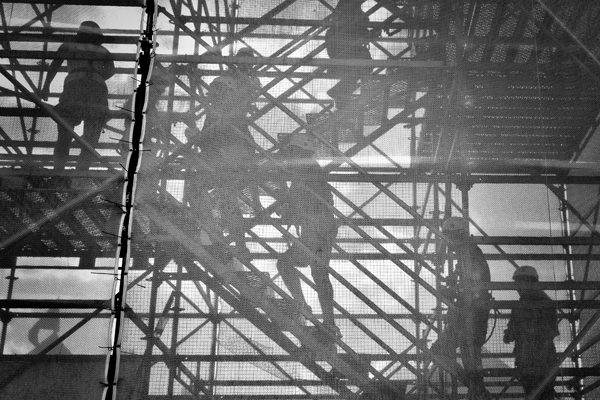 For instance, a staffing agency might be responsible to ensure that workers have proper training regarding such topics as ladders, back safety, and slips, trips and falls in the workplace. It would be up to the host employer to provide any training regarding site-specific issues, such as unique chemical hazards and specific machinery procedures that are present in your workplace. Regardless of who is conducting training, OSHA requires that all training be completed before a temp worker is exposed to any risk. What’s more, OSHA requires that all training be administered in a language and vocabulary that the temp worker understands and comprehends. Because host employers and staffing agencies are considered by OSHA to have joint responsibility to properly conduct appropriate safety training for all temp workers, communication between both employers is paramount. According to OSHA, the staffing agency has a duty to inquire into the condition of their workers’ assigned work environments and ensure that they are receiving the necessary training for the job tasks and that work environment. It’s the staffing agency’s responsibility to guarantee they are sending workers into a safe workplace where they will receive the specific training they need to remain safe. The host employer has the responsibility to ensure that incoming temp workers have received general safety and health training, and understand the basics before they enter job specific safety training. It’s the responsibility of both parties to work together to ensure the safety of the worker. Staffing agencies should work to check up on their temp workers regularly, to ensure they’re still functioning in an environment that’s safe for them. OSHA will hold both parties, host employer and staffing agency, responsible for inadequate training that results in an injury. With all of this in mind, it is important that the safety training responsibilities are clearly spelled-out in an agreement with the staffing agency. This agreement should include specific responsibilities regarding who pays certain costs, who is responsible for wages, taxes, and benefits, as well as responsibilities for proper safety training. Proper safety training is just as critical in protecting your company’s employees that work in your facility. The bottom line is that all temp workers should be given the same tools to be successful as any other employee in regard to training and safety and health protections. Don’t assume that the staffing agency you are working with will provide what is needed. The host employer has a right to set the expectations, communicate these fully with the staffing agency, and ensure that they are being accomplished. If you are looking for a comprehensive, easy to use safety training system that can help you train and track for your entire workforce, check out what the LMS from eSafety has to offer.